Royal Caribbean's Anthem of the Seas is less than two weeks away from her arrival in the New York City area and many fans are excited to check out what this brand new ship offers. 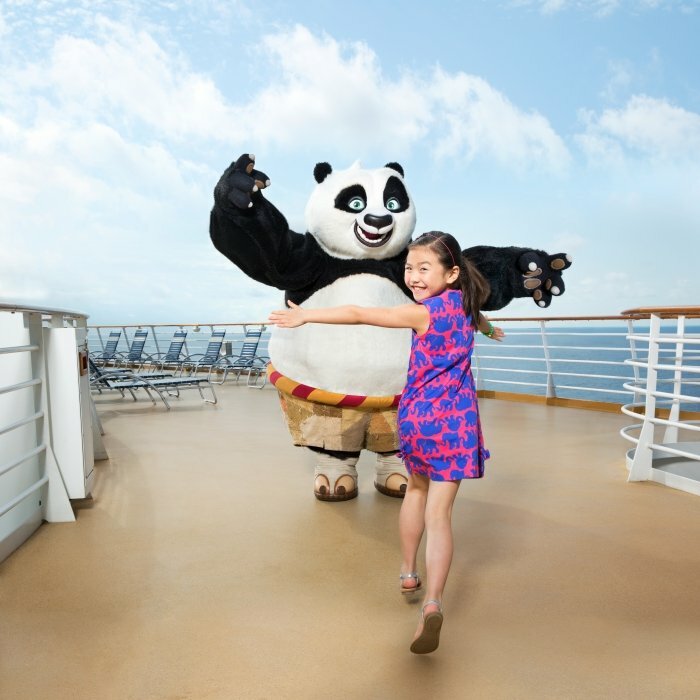 Royal Caribbean has packed Anthem of the Seas with innovations, activities and technology that all contribute to give guests that "WOW" factor the company is well known for. There is a lot of exciting options onboard and in anticipation of Anthem of the Seas' arrival, we are counting down the top five coolest features onboard. 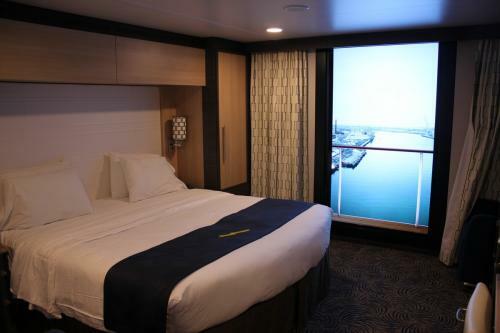 When Royal Caribbean announced it would transform indoor staterooms with an 80-inch LED television that would provide real-time views, the concept may not have resonated with guests as much until we saw it in action. If you have a need for speed when it comes to surfing the internet, Royal Caribbean's Voom internet is perfect for you. Imagine being at sea and sharing photos and videos from all the "WOW" moments in this blog post with your friends and family back home. Or better yet, show them by calling them on Skype or Facetime. You can do all that and more with Voom. 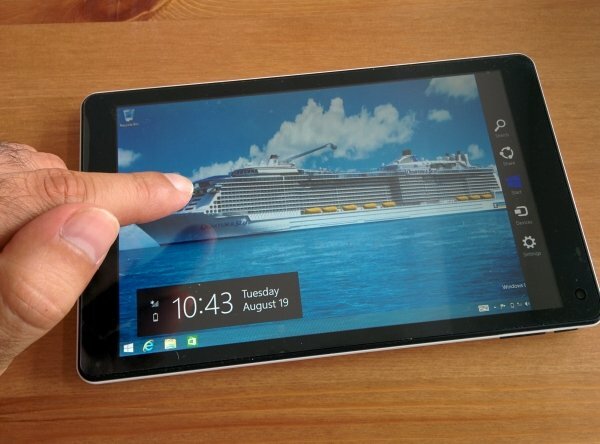 Anthem of the Seas is one a few Royal Caribbean ships currently offering Voom internet and for just $15 per device, per day, you can stay connected without the sluggish internet speeds traditionally found on a cruise ship. If you are a gamer, head over to the X-Box pod in the SeaPlex, because Voom is powering the gaming experience there, where guests can engage in Xbox Live. Entertainment has always been a staple of Royal Caribbean cruises and Two70 offers some of the most impressive shows we have ever seen. Two70 is a venue at the aft of the ship that offers a two hundred and seventy degree view of the ocean, and there is much more than just that to see. During the day, you will find Roboshows shows that feature robotic screens that move and adjust to the show they are displaying. Two70 also features Vistarama, which transforms its expansive floor-to-ceiling windows into any scene, real or imagined, by combining 18 projectors to create an ambient surface over 100 feet wide and over 20 feet tall. Across this expanse, impromptu digital shows come to life in stunning 12K resolution. At night, there is yet another show to enjoy here, with Spectra's Cabaret. This is an immersive audio and visual experience that is certain to be like nothing you have seen before. Two70 is a hub of activity for guests onboard Anthem of the Seas and after your cruise is over, it is quite likely many of your cruise photos will have been taken here. Four words: sky diving at sea. That is all most guests need to hear to understand what Ripcord by iFly is all about. Guests get the sensation and experience of sky diving without the whole jump out of a perfectly good airplane from an obscene altitude. It is one of those things that so many guests instantly want to try because not only does it look super cool, it is also super fun! There is no additional cost to hop in Ripcord, guests simply make a reservation and get suited up and literally jump in. Be sure to have someone take photos for you, because Ripcord is such an unique experience and something only available on Royal Caribbean. When we are talking about "WOW" moments, there is nothing that quite compares to the most visible feature on Anthem of the Seas, North Star. Guests board a jewel-shaped observation capsule and are taken up 300 feet above sea level for views never before seen on a cruise ship. North Star offers 360 degree views all around Anthem of the Seas and it is something that simply never gets old. No matter how many times you go up on North Star, it is still a stunning sight to behold and you will need extra memory cards for your camera to be able to handle all the photos and video from here. If you really want to spice things up, remember the Voom internet from earlier in this post? How about streaming your experience on Periscope or calling your friends at home on Facetime and showing them where you are? When you are on North Star, you are going to want to do all of it! We limited ourselves to the top 5 coolest things about Anthem of the Seas for this blog post, but there is so much more that will impress you. Surf simulators, bumper cars at sea, an amazing adults only pool, incredible restaurants and much more. We cannot fit it all into one blog post but rest assured that a cruise on Anthem of the Seas is certain to impress. What aspect of Anthem of the Seas is the coolest, in your opinion? Tell us in the comments below! In just a little under 20 days, Royal Caribbean's Anthem of the Seas will be arriving in the New York City area to begin offering cruises from her new home in Cape Liberty, New Jersey. You might be wondering how Anthem of the Seas is different from her sister cruise ship, Quantum of the Seas and we have the list of how to tell them apart! Perhaps the most noticable difference between Anthem of the Seas and Quantum of the Seas is the art work. Royal Caribbean has added thousands of art pieces onboard Anthem of the Seas and as you explore the ship, you will encounter pieces from all over the world. Anthem of the Seas even has its very own Picasso! Once you get onboard Anthem of the Seas, be sure to explore the ship to discover the many pieces of art. You will find art all over the ship, from the elevators and stairways to the restaurants, staterooms and even out on the decks. 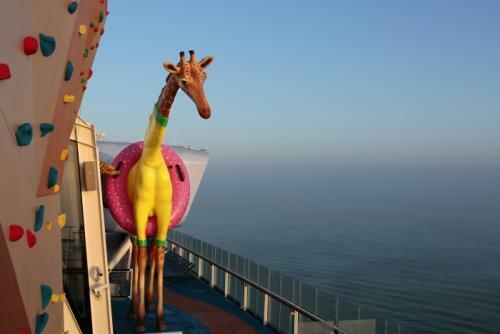 One big difference (and we mean big) is on the top deck is a 32-foot tall giraffe that the crew affectionately have named, "Gigi". You will find Gigi wearing a bright pink inner tube and yellow swimsuit, just outside the SeaPlex. French artist Jean-François Fourtou designed Gigi, and says her purpose is to, " always to show something outside of its natural context." "I hope people will feel a big surprise — I hope they will laugh, and I hope some of them will feel something emotional because, for me, the giraffe seems almost human with her expression," he says. "Much like being a father, you have to let the kids leave home, and I think it’s great that she’s going to see the world and have a great adventure." These days, no new Royal Caribbean ship is complete without a new musical and guests on Anthem of the Seas get a chance to rock out to a West End favorite. "We Will Rock You," performs multiple times on Anthem of the Seas in the Royal Theater. The 90 minute show is included in the cost of the cruise and performs some of Queen's greatest hits, while telling the story of Bohemians seeking to restore the power of rock 'n' roll. Not only is "We Will Rock You" an entertaining and fun show to watch, it is a great example of the first class entertainment Royal Caribbean is known for. If you are looking for something fun but different, check out "Escape from the Future". Basically, "Escape from the Future" is a game where teams of guests try to figure out clues and codes to find a key that allows them to escape from the room. The catch is, guests only have one hour to figure it all out. This interactive brain teasing game is something very different from other onboard activities and it can be a very fun way to test their wits. "Escape from the Future" was designed by a land-based company known as Puzzle Break and the all the fun is included in your cruise fare. Royal Caribbean is always trying to offer more entertainment that gets guests talking and finding this show may require some random luck. On the surface, the stowaway piano player sounds like a normal piano player that can crank out some great tunes. But the catch is you will never know where to find the stowaway! The piano player is quite mobile, and that means performances can break out almost anywhere on the ship. In addition, the piano has hidden compartments and functions and can dispense various things, such as lollipops for kids or appear to overheat because of "intense" piano playing. On Quantum of the Seas, the Starwater show in Two70 was very impressive and Royal Caribbean offers a brand new evening show in Two70 called, "Spectra's Cabaret." This is an original Royal Caribbean production created by Moment Factory, exclusively for Two70 on Anthem of the Seas and it features, "the Maestro and his Agents of Rhythm as they invite you to an electric multi-dimensional cabaret where you will be transported into invisible realms." Guests that watch "Spectra's Cabaret" will witness a multi-media show featuring kaleidoscopic sounds, effervescent colors and dazzling movement. Spectra’s Cabaret blends live performance and experiential cinema along with music from popular culture. In just about a month, Royal Caribbean's Anthem of the Seas will be arriving at her new homeport of Cape Liberty, New Jersey, and it will mark her debut in the United States. Anthem of the Seas' arrival stateside is a big deal because there will be a brand new cruise ship for guests to try out in one of the most populous parts of the country. In anticipation for Anthem of the Seas' arrival, we are counting down the top reasons you ought to be excited to welcome Anthem of the Seas "home". With Anthem of the Seas arrival in the New York City metro area, Anthem of the Seas will be the largest and most innovative ship ever to homeport in the New York region. Folks living in the North East definitely hold themselves in high regard and having a significantly larger Royal Caribbean ship than ever before means there is a lot to enjoy about her. ​Of course, this massive ship contains lots of WOWs onboard and there ought to be enough to enjoy on Anthem of the Seas to satisfy the Big Apple's appetite. 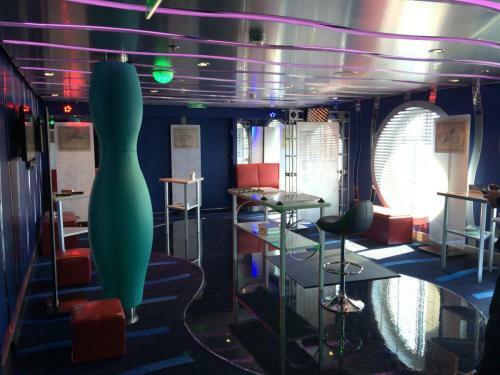 Onboard Anthem of the Seas, guests will find quite a variety of onboard activities, dining options and places to relax. Few skylines are as easily recongizable and beloved as the New York City skyline, but you have to see it from over 300 feet above sea level! North Star is Royal Caribbean's amazing observation capsule, that takes guests smoothly into the air to provide breathtaking views of New York City, the Statue of Liberty and the surrounding areas. Once you see New York from North Star, it will give you a view of the area that you have never experienced before. Dynamic Dining is not new to the United States but Royal Caribbean has introduced a new option to Dynamic Dining for those that want a more traditional dining experience. Onboard Anthem of the Seas, guests can choose Dynamic Dining Classic if they prefer the traditional main dining style with the same dining time each night, with the same wait staff and dining companions throughout the cruise. Guests will rotate through restaurants onboard the ship, giving them the Dynamic Dining experience coupled with the traditional dining memories they have enjoyed on past cruises. Dynamic Dining Classic is available on a first come, first serve basis. Royal Caribbean designed Anthem of the Seas for longer itineraries and that means this new ship will take New Yorkers, New Jerseyians and Connecticitians to more exotic and beautiful destinations than ever before. Anthem of the Seas offers sailings that are 7-, 8-, 10- and 12-nights that are sure to meet the needs of all Royal Caribbean fans looking to get away. Sailing from the northeast means no plane rides south required and more time onboard, enjoying the ambiance and views only a cruise ship can provide. What are you most excited about to experience on Anthem of the Seas? Share your thoughts in the comments! Royal Caribbean kicked off today a special 72-hour sale on Anthem of the Seas cruises, where guests can get a free upgrade to a balcony stateroom and $200 in onboard credit. Free Upgrade – from Interior to Balcony (starting at $799 per person). An additional $200 onboard credit per stateroom for all categories. The cruise sale runs from September 21 through 23, 2015 and is for all Anthem of the Seas sailings departing November 10 – December 19, 2015. Free Upgrade offers are combinable with the adjoining OBC offer, Crown & Anchor discounts, Next Cruise offers, and Shareholder Benefits. Free Upgrade offers are not combinable with restricted rates (for example, Seniors, Residents, Military, BOGO). OBC offer is combinable with restricted rates (for example, Seniors, Residents, Military, BOGO, Free Upgrades, Free Gratuities) as well as Next Cruise offers. OBC offer is not combinable with Crown & Anchor discounts and Shareholder Benefits. Neither offer is combinable with any other offer or promotion, including, but not limited to, Standard Group, Interline, Travel Agent, Travel Agent Friends and Family, weekly Sales Events, Net Rates. Leonardo Da Vinci was a visionary with ideas that far surpassed his time. 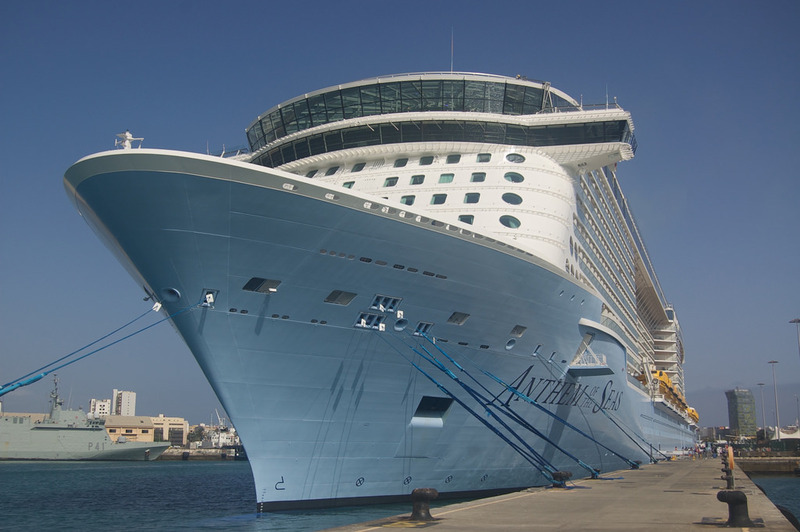 With the technology available inAnthem of the Seas’ Two70, Royal Caribbean is able to bring many of his dreams to life in a dazzling display of digital technology.